Item Code: RPG2X10 RB. Authorized Rockville Dealer! PA system with 4-channel powered mixer. Products go through months of extensive testing before they reach your hands. All user functions are tested and all internal components are tested for quality. Yamaha Stagepas 300 compact PA Speakers. Condition is Used. Just the speakers and stand mounts; the PA head is not included. The EON615 from JBL is a 15" two-way powered speaker system with 1000W of Class-D amplification and two input channels. It works as a single speaker, in a stereo set up with another top cabinet and a subwoofer, as a floor-monitor, or in permanent install applications. The JBL PartyBox 300 is a powerful party speaker with JBL sound quality and vivid light effects. Connect two PartyBox speakers wirelessly with the TWS feature or wired from one RCA output to another RCA input. Very few hours were put on these subs and never at high SPL. Video of RPG2X15 Rockville RPG2X15 premium complete PA bundle with very high end and great sounding components! Item Code: RPG2X15. (1) 8 Channel powered mixer with 1200 watts peak output power. 8 Channel Powered Mixer with 1400 watt amplifier built in Built in Bluetooth connectivity. Condition is Used. These are a great range of in ear monitor systems. These have worked brilliantly whenever I’ve needed them over the past few years. These can be bought individually or as a set of all 3. Braucht die Welt noch neue Studiomonitore?. Dahinter stecken ehemalige Mitarbeiter von JBL, ausreichend Know-how zur Entwicklung und Produktion von Studiomonitoren sollte also auf alle Fälle vorhanden sein. Authorized Presonus Dealer! That’s not the only professional-class feature you get with Eris speakers that competitors can’t match, though. They aren’t designed for that. Pair of Presonus Eris E4.5 2-Way Active/Powered 4.5" Near Field Studio Monitors. Yorkville 7420 Also LS608, LS800P, LS801, TX9 @ 8 Ohm. 35 – 1000 Hz response. Frequency range: 35 – 1000 Hz. Double silicone spider with optimized compliance. 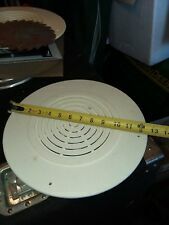 100 mm (4 in) copper voice coil. Built In USB, SD, Radio, Equalizer, Remote + Warranty! • Professional Service. No local pickup option is available. REFURBISHED (cleaned & tested). amp only - no speaker included. As advertised. Just what i needed. View Item Peavey XR8600D Dual Powered 1200 Watt Powered Mixer DJ. -- (#291659347723) -- View Item --. Video of CR3 Authorized Mackie Dealer! Item Code: CR3. Mackie is the first to solve this issue. Let’s face it… a lot of workspaces are cramped. Either way, great-sounding monitors that don’t eat up a ton of desk space would be ideal. For sale I have a pack of four (4) Faital Pro 6FE100-8 (8 ohm) 200w 6.5" woofers. These have had light domestic use only. Very well respected driver used in some surprisingly expensive HiFi speakers! Full specs can be found here: https://faitalpro.com/en/products/LF_Loudspeakers/product_details/index.php?id=401020100 100% working. No buzzes or rattles! (2) Rockville RSG12.4 Single 12” Three-Way, 4-Ohm Pro Audio Passive Loudspeakers Totaling 2000 Watt Peak/1000 Watt RMS with Three 3" Piezo Bullet Tweeters, a 2" High Temperature Voice Coil, and a Piezo Compression Horn. CONTENTS: One Compact Passive 2x5 Line Array Speaker. The CLA Series of Line Array Speakers are a compact Line Array and are ideal for small to mid-size venues. The CLA-2x5 Compact Line Array Speaker from Seismic Audio features two 5" woofers and a heavy duty 1 3/8" titanium compression driver. The box size is just 340 x 265 x 282mm, yet the overall weight is a reassuring solid 13kg. Anodised blue heatsinks on either side of the cabinet indicate that this is an active monitor, as does the presence of an IEC mains connector and its attendant mains switch on the rear panel. BOSE, F1 MODEL 812 FLEXIBLE ARRAY. ModelF1 MODEL 812 FLEXIBLE ARRAY. All photos are of the ACTUAL item for sale! West Coast. Midwest & South. Northeast Coast. Up for sale is a Yamaha MSP5 - 60W 5" Active Two-Way Studio Monitor Original Box. KRK Rokit 5 G3 - 5" Studio Monitor. Condition is used. Shipped with USPS Priority Mail. Does not include cables. Wheels+Trolley Handle+Wireless Linking of 2 Speakers ! I have worked in sound, with various systems over the years and these are the only speakers I have never let go. They are as far as I am aware all original parts and have never been tampered with. They sound just fantastic and are the secret weapon of many well known sound engineers for referencing mixes. 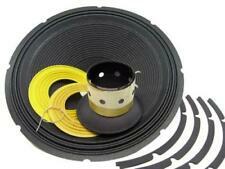 JBL type 2 way speaker crossover for single woofer and horn. Our live sound crew from Partyprosound decide to put together a very, very similar just like the JBL crossover 2 way, using ONLY top pro-audio grade inductors and capacitors, we are talking heavy duty components! Frequency response: (-10dB) 55Hz - 16kHz. 500W program handling, 1,000W peak. Sensitivity: 99dB. 19"W x 28"H x 15"D. 60-1/2 lbs. Assembled by skilled technicians, each cabinet is designed for better low-end response and includes heavy steel handles and sturdy pole sockets to make moving and positioning easy. These are used, however, hasn't been much. RAM15BT AMP SU. Item Code: RAM15BTv2 AMP SU. Blue Tooth Pairing from External Music Source. This includes blown speakers with burned voice coils. Built-In FM Radio Tuner. If the item you chose is more or less money we will work out the price difference with you. 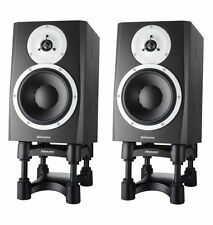 Pair KRK Rokit 5 RPG2 Bi-Amped Powered Studio Monitors. Condition is Used. Shipped with FedEx Ground or FedEx Home Delivery. 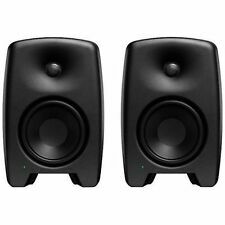 Mackie MR5mk3 Active Studio Monitor Black MR5 (pair). Condition is Used in excellent condition. One very light scuff on the top of one monitor. Mackie MR5mk3 Powered Studio Monitors will help you make better-sounding music. You are purchasing a Simmons DA200S Monitor Amp. This has been tested and working. FILTRE AUDIO PROFESSIONNEL 3 VOIES 3 Voies. 400W max.1 KHz/6KHz. Impress your audience with the built-in (on/off switchable) active LED strobe lights that flicker with the beat of your music. Fine tune the system with the precise Alpha Q bass and treble equalizer to ensure the best sound quality output.